It is the beginning of June and in the south-east of Spain, Eric Bailly has received a phone call. 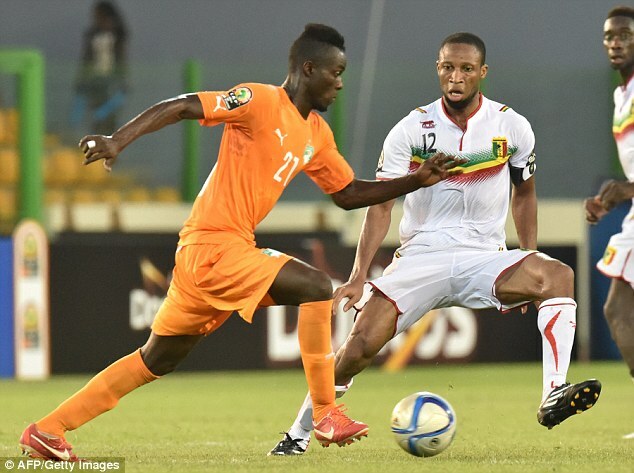 The Ivorian defender, then of Spanish club Villarreal, knows that he has significant interest from Manchester United, Barcelona and Borussia Dortmund. But when he picks up the call, the rasping voice at the other end still comes as a major surprise. ‘It was Jose Mourinho,’ explains Bailly’s best friend and former Espanyol team-mate Joan Jordan. ‘It was out of the blue. It meant a huge amount. Eric called me up all excited. 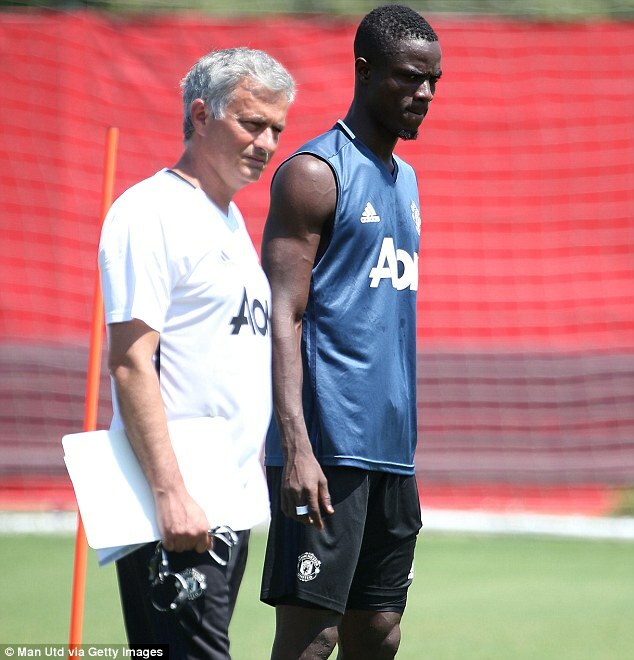 Bailly was not on United’s radar under Louis van Gaal but Mourinho acted decisively to make the defender his first signing — in a £30million deal from Villarreal — within two weeks of taking over. Just 22, Bailly has rapidly adapted at United, being named the club’s man of the match in three of his opening four games, ousting Chris Smalling from the starting XI and winning United’s player-of-the-month award for August. 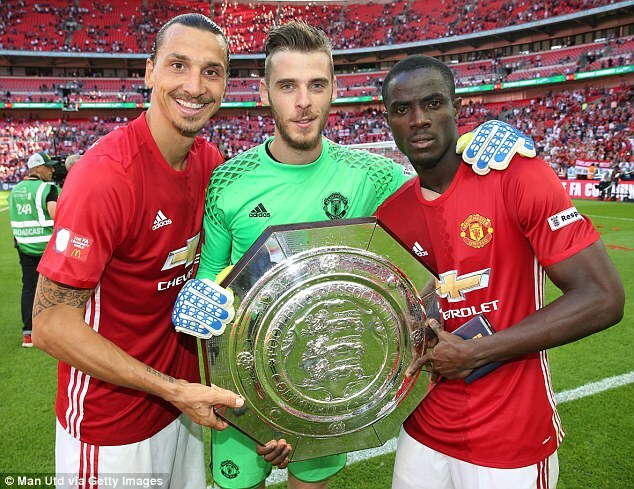 Talking to Sportsmail over the past week, United goalkeeper David de Gea described Bailly as a powerhouse and gave the impression that the African has made an instant impact on the dressing room. ‘Oof, a great signing,’ said De Gea. ‘Eric’s come in and surprised us all very quickly. I remember when I first came to England and, trust me, it can be hard early on but he’s flying. ‘He is physical, strong, technically confident and super-fast. He only speaks a little English but we have lots of Spaniards in the dressing room and Paul Pogba speaks French of course. 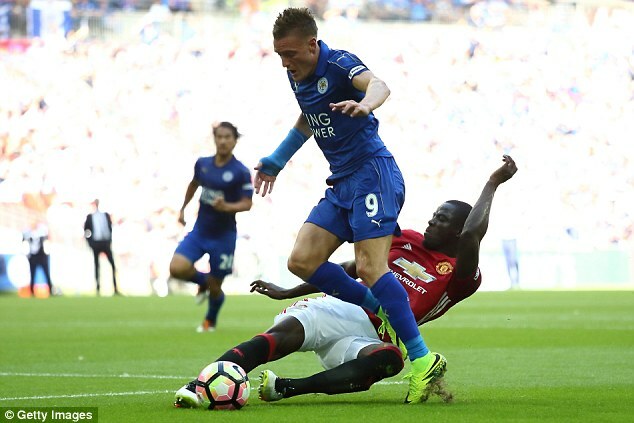 Bailly’s most significant test yet will arrive this weekend against Manchester City. His rise, however, becomes all the more extraordinary when we learn that only four years ago, he hadn’t even played a real competitive game of 11-a-side football. Bailly was born in the south of Abidjan, the capital of the Ivory Coast, in April 1994. As a child, he would play football after school on the streets of Koumassi-Sicogi, the industrial heartland of the region. According to French publication Le Monde, Bailly ended his studies at 14 and is said to have become the manager of a telephone box. He earned a pittance, emptying out the change each day before travelling to trials as he pursued his dream of becoming a footballer. Bailly was taken on by a youth centre, Abia Stars. 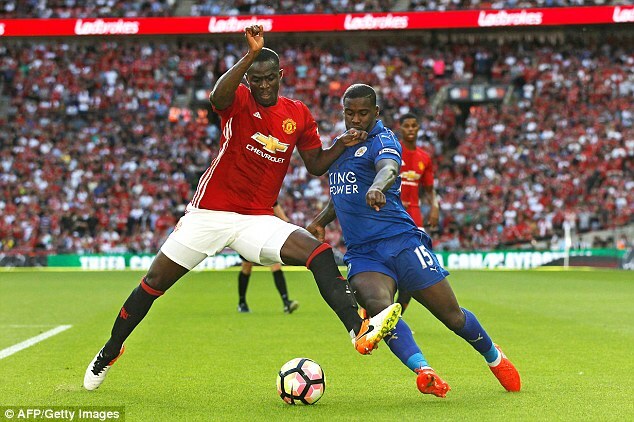 It was there that Bailly was discovered by a Spanish talent agency, Promoesport, who were scouring Africa for young prospects. David Comamala, the head of the project, explains: ‘We sensed an opportunity in central Africa, scouting talent in eight countries. ‘We first saw Eric in 2009 in Abidjan. He was playing in this small club with barely any infrastructure. The fields were pitches only by name and conditions were really poor. It was barely a team. The coach was just a guy from the area who had a few training tops and a ball. No proper goals, just a square or a muddy ground. ‘Physically, Eric was stick-thin but from the first moment, he stood out for his height, his pace, his courage and his talent. He was doing rare things for a kid in Africa. ‘The second time I saw Eric, I started talking with the club to buy his economic rights. We were sure we wanted him. After six or seven months scouting in the region, we set up a training camp. We had 40 or 50 kids in Burkina Faso. The idea is we invite sporting directors and scouts along from major European clubs for a week. The trials themselves became fiercely competitive, a once-in-a-lifetime, X Factor-style audition with the promise of changing lives for ever. For the agency, it then became a struggle to prise Bailly away from his youth club. ‘The coaches there have their little centres, with good intentions but little means. But then they see Westerners coming and sense the money and big contracts. After three months of negotiations between the club and the agency, a deal was struck worth £14,500, in addition to bonuses when Bailly played in La Liga and a tiny percentage of his next transfer. For Bailly a world of opportunity awaited. Young Eric’s adventure was only just beginning but upon arriving in Spain, it was fraught with challenges. Aged 16, he would not play competitive games for two years due to issues with paperwork and regulations surrounding non-EU nationals in Spain. ‘Straight away, you could see someone unique,’ says Joan Jordan, his room-mate in the Espanyol academy. ‘But, damn, things were hard for him. At Espanyol, his big break came in the summer of 2014. The reserve-team coach Sergio Gonzalez, the former Spain midfielder, was promoted to the first team. ‘We needed a fourth defender and I said, “I know Eric and he will be fine”,’ says Gonzalez. ‘He has amazing qualities. He started training with the first team and became hard to ignore. No strikers wanted to be against him. They’d ask me to go against someone else. He’s on top of you, intense, breathing down your neck, nicking in. ‘He played at Barcelona in his third start. We were 1-0 up at half-time and he had played Messi out of the game. We lost but that was when I knew he was seriously special. ‘Remember, he’d had no tactical training in Africa — he was incredibly raw. He needed to learn when to step out, how to manage a defensive line, play offside, all those things. ‘We worked hard on videos, sitting with him and his defensive team-mates for hours. Sometimes I used other defenders to emphasise a point: Sergio Ramos, Gerard Pique, but mostly his own performances. 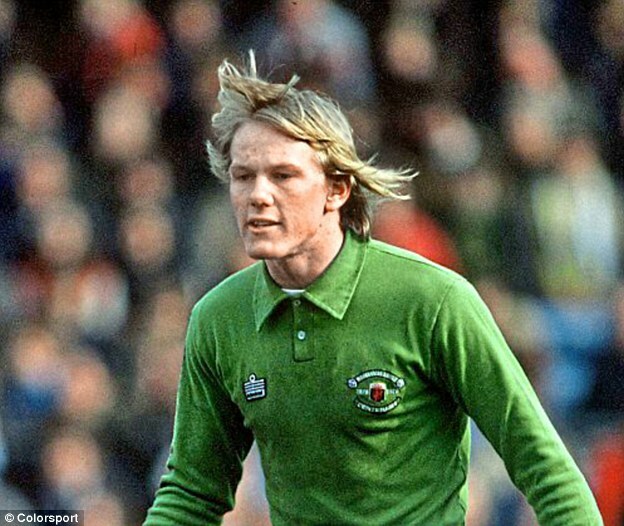 After establishing himself as United’s No 1 in 1979, Gary Bailey played in 11 derbies — keeping five clean sheets and conceding nine goals. 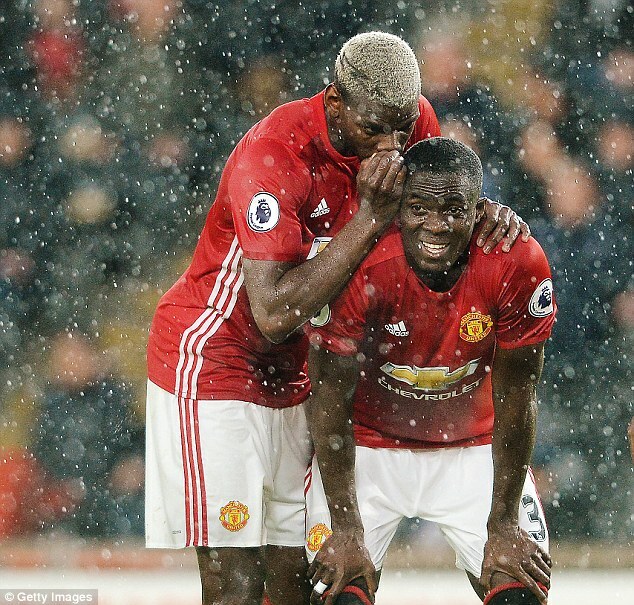 Bailly bought a home for his parents in Ivory Coast after earning enough money and his country quickly came calling. In his fourth senior game, at Rayo Vallecano, scouts turned up and he impressed sufficiently to make the squad for the Africa Cup of Nations. Mark Clattenburg, who referees Saturday’s derby, likes to preen — but he won’t look as dapper as Mr C Fletcher of Northwich. 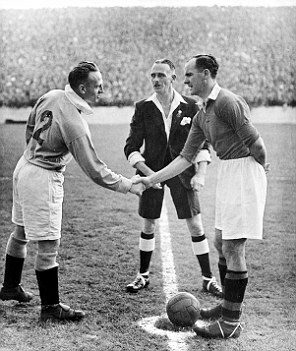 He took charge of the 1947 Manchester derby wearing a jacket and shorts, a unbuttoned shirt with sleeves folded up and a pocket hankie. After impressive performances at the tournament — including a penalty scored in the shootout victory over Ghana in the final — he was signed by Villarreal. 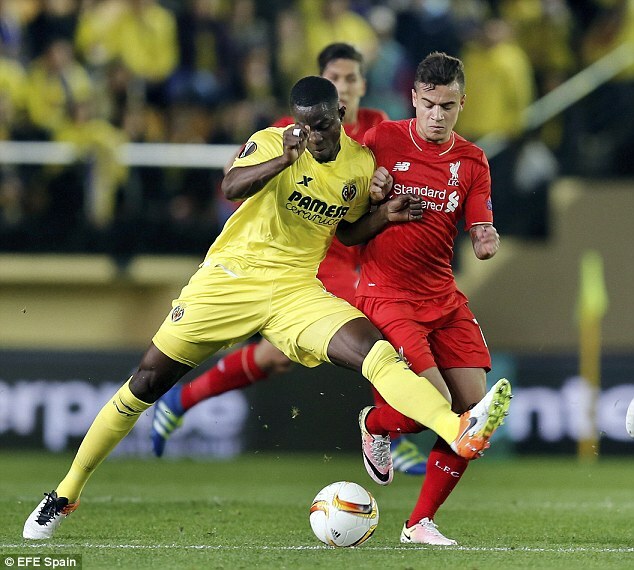 Not everyone has always been convinced by Bailly’s talents but former Villarreal boss Marcelino had no doubts. ‘We played Real Madrid last season and had injury problems,’ said Marcelino. ‘I put him at right back against Cristiano Ronaldo and we won 1-0. My thinking was he’s fast over short distances, brave, mature and without any knowledge of the position, he marked Ronaldo out of the game. Amazing. At United, that certainly appears to be the consensus. Bailly is living in the Lowry Hotel but searching for a house with his partner Vanessa, whom he married this summer. Local reports claim they met when she came to use his phone box all those years ago. ‘It’s amazing to see him now,’ coach Gonzalez grins.